With a diverse economy and passion for preservation, Omaha, Nebraska welcomes all business and opportunity. As of March 1st of this year, Omaha celebrated its 150th birthday and ultimate union with the United States as the the 37th star on America’s flag. This town was given the name “Gateway to the West” back in the 19th century when the city was a national transportation hub, but now Omaha works as a center for major industries such as banking, insurance and telecommunication. With four Fortune 500 companies: Berkshire Hathaway, a multinational conglomerate; Kiewit Corporation, one of the world’s largest construction companies; Mutual of Omaha, one of the country’s largest mutual insurance company; and Union Pacific Corporation, America’s largest railroad operator, Omaha is home to a hard-working and impressive community. Ranked as one of the Best Places for Business and Careers by Forbes, Omaha offers a great environment to work in the many prosperous industries and live 6.1% under the national average for cost of living. Omaha provides a lifestyle suitable for a working woman or man and their family without the fear of high priced homes and areas. As mentioned above, the city’s economy is diverse and no sector accounts for more than a third of total labor. Each industry from insurance to transportation brings in economic wealth. Rich in history and culture, Omaha invites its guest and inhabitants to explore the city’s treasures. 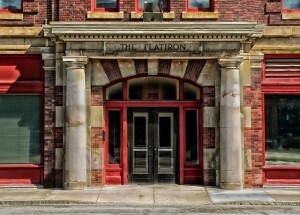 From historical landmarks such as the Flatiron Hotel and the Old Market in the historic district, Omaha aims to preserve its history and legacy as one of the liveliest towns in the midwest back in the 19th and 20th century. With the Omaha Community Playhouse, the largest community theater in the U.S., and an assorted music scene from rock to rhythm and blues to classical, this midwest town delivers a variety of performance venues and museums. It also is said to be rumored that the famous Reuben Sandwich was invented in Omaha, which can never hurt a city’s image. Straight Shot, an accelerator dedicated to developing successful technology startups, and The Start Center Omaha, a non-profit entrepreneurial center, are both excellent examples on the emphasis Omaha wants on shaping its entrepreneurs and future business owners. The community and area continues to grow, and Omaha wants to further encourage its citizen of the wonderful opportunities the city has to offer. If you’re looking for a way to manage your business or in the first stages of creating your own, have Halloo help you keep track of your customer’s needs. Find an Omaha area phone number for your business. To search numbers available in area code 402 or 531 click here. This entry was posted in Halloo, Local phone numbers and tagged Omaha Phone Numbers by Kathryn Anderson. Bookmark the permalink.